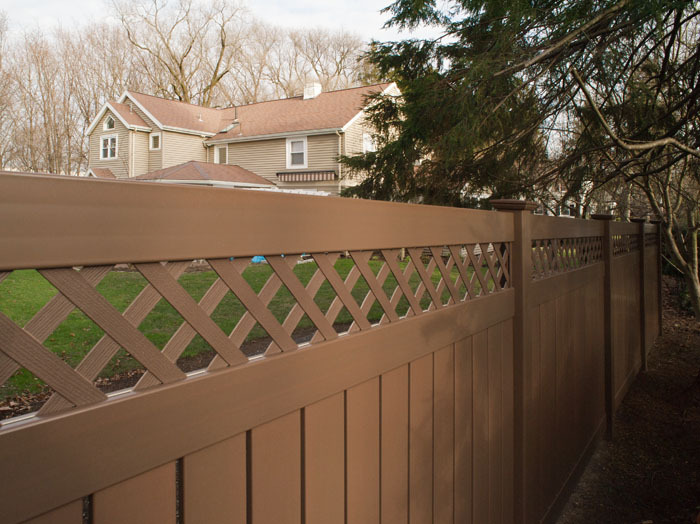 Where can you get brown vinyl fence you ask? The answer is simple. Grand Illusions Color Spectrum! 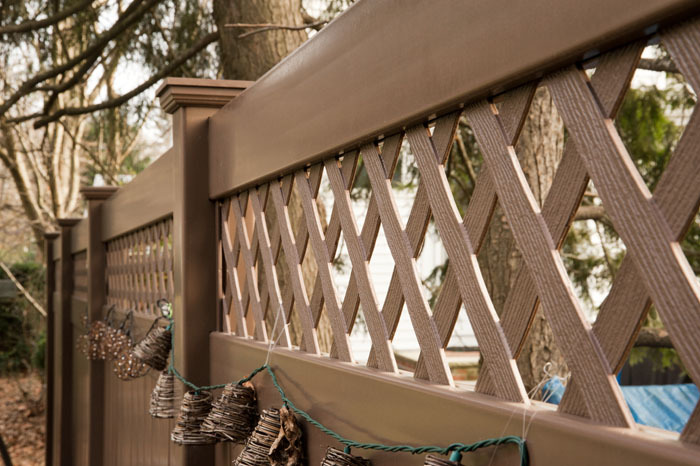 This week’s photos feature a beautiful install of the Grand Illusions Color Spectrum color vinyl fence. The specs are simple yet elegant. 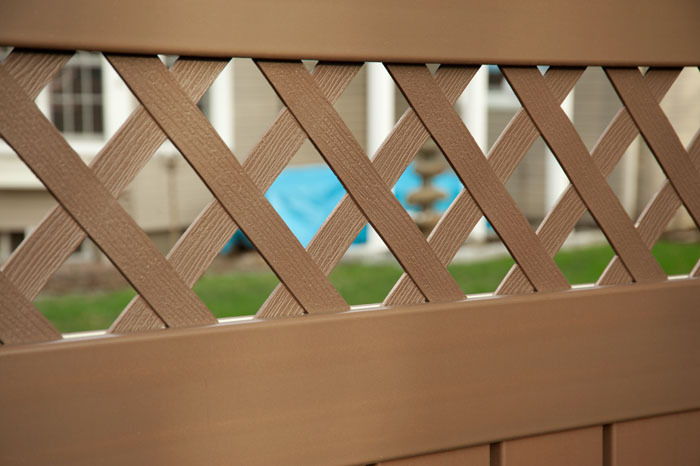 4 sections of Brown (L106) V5215D-6 Semi-Privacy fence with Diagonal Standard Lattice and New England Post Caps (V55NE). This particular install just goes to show that even four sections of Grand Illusions Color Spectrum can make a BIG difference. 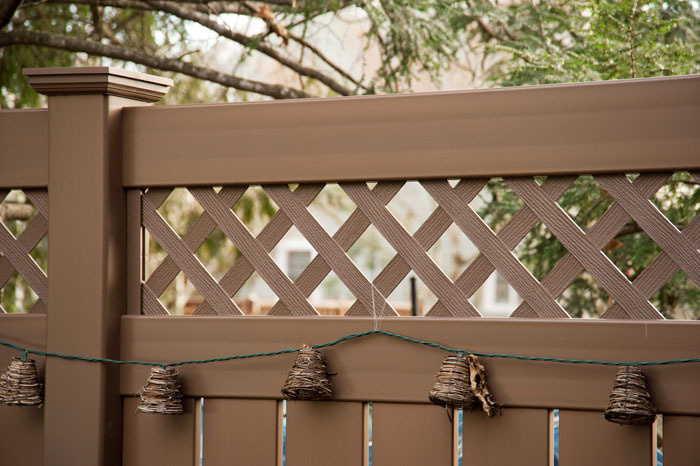 The color of the fence was creatively matched to the roof and trim elements of the house. 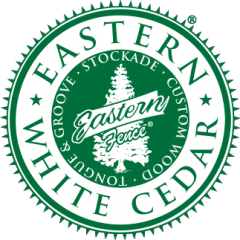 The homeowner enjoyed putting festive decorations on their fence that match perfectly in both theme and color. Come and play!!! 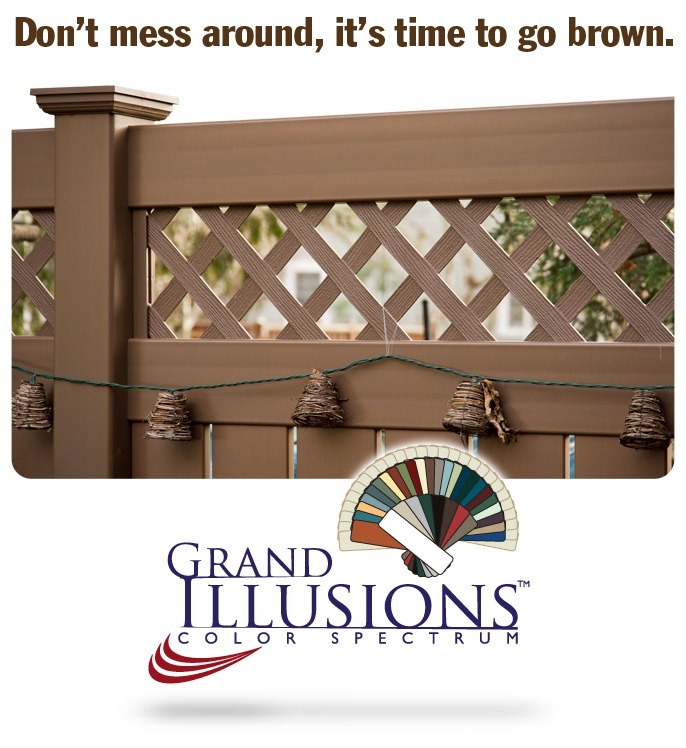 With 35 colors and 5 authentic woodgrains, you are sure to find exactly what you are looking for with Illusions Vinyl Fence’s Grand Illusions Color Spectrum and Vinyl WoodBond Series. Feel free to try out the Illusions Fence Design Center to design your own exciting Grand Illusions install!